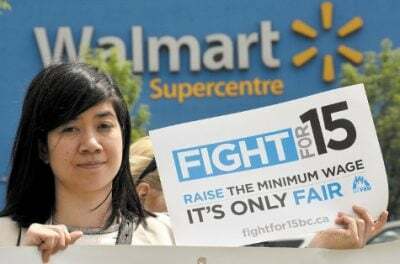 Last Tuesday the new British Columbia NDP government announced it was raising the province’s minimum wage to $15 an hour by 2021. The new government had already announced it would raise the minimum wage by 50 cents on September 15, bringing it to $11.35 an hour. In fact, this 50 cent raise had been planned by the previous Liberal government. David Bush is a Ph.D. student at York University. He is active with the Fight for $15 and Fairness club at York University. This article first published on the RankandFile.ca website.